I'm making myself write this story. Partly because my Naturopathic Doctor just published a very interesting book and I want to share it with you. Partly because I'm pushing myself to write more. And partly because I think this story might be YOUR story. And sometimes reading makes pain hurt a tiny bit less. This story will be pretty candid...I'm not attempting 'the glass half full' philosophy here. I know it could be worse. 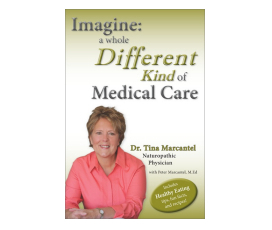 I'm using the Story-Time Tuesday format for this and each week I will be doing a giveaway for "A Different Kind of Medical Care" but Dr. Tina Marcantel. You can read about this book by clicking here. Giveaway Information: Enter to win a copy on this post today or you can purchase at that link. 10% discount code is 'healthy1'. I will have Mr. Jenny select a random number from all the comments on this post. Feel free to enter any time before Monday. Winner will be announced next Tuesday along with the continuing story. Autographed book will be mailed out on Wednesday! If I don't win this book I will order it myself! I could really use some insight into the hormonal changes that are making me feel like a drunk every day after about 2 pm. Serious exhaustion and brain fog just can't be normal. Please e-mail your snail mail address (jennymatlock at cox dot net) and I'll get the book right out to you! PART TWO - IF GOOD HEALTH WAS EASY, EVERYBODY WOULD HAVE IT! Understand that trudging ahead was really my only option. With three small children, very tight finances and no alternative health options…there was no other choice. Months strung together and I gained a precarious acceptance that exhaustion, anxiety and stress were the parameters of my life. I had always had an optimistic nature and every morning I would awake assuming the day would be good. I rarely hung my head down in self-pity and sorrow. Emotionally I never felt like my physical feelings were valid. The way my body felt did NOT match the way my mind felt. There was little time to dwell on that, though, because life was too busy back then to take much time with my health puzzle. I enjoyed my time with my children and friends, had a creative small business, and had energy enough to put dinner on the table, keep up (more or less) with the laundry and to keep my house (fairly) clean. The ‘normal’ in my life was that some days were not good days. Exhaustion, joint pain, depression and anxiety came and went with no discernible schedule. And because I was unwilling to live my life with the restrictions those negative things imposed, I did my best to ignore them. Early in 1990 I had a partial hysterectomy due to chronic bleeding. I discussed my other symptoms with both my family doctor and the surgeon. They both suggested that perhaps I was suffering from depression…perhaps if I were to lose some weight I might feel better…perhaps there were some new anti-depression medications that might help. I declined the offers. I am not opposed to pharmaceutical help. It was just never an option for me because of my sensitivity and adverse reaction to many medications. Honestly, I would have taken any prescription that made me feel better. They just didn’t work for me. 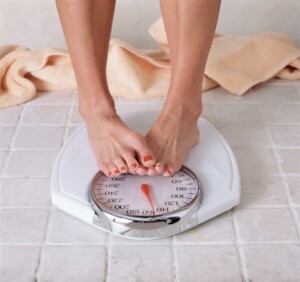 And I was certainly never OPPOSED to losing weight, either, but I was always one of those women who could starve herself and not lose a pound. I tried a lot of things in those years including exercise, counting every calorie that went into my mouth, and Overeaters Anonymous. I was very active and did not sit around the house all day eating bonbons. Really. It always upset me, because up until my third pregnancy I had a wonderful metabolism and sometimes actually struggled to gain weight. Darn. That was a great time! Around the time of the surgery, emotional and financial stress increased at home. Sometimes the tension was almost unbearable. Post-surgical recovery was difficult with complication after complication. The anxiety increased along with random, odd pains in my joints and bones. Oddly, I gained weight in the hospital during my surgical stay. No matter how bad things got, though, I muscled on. Not because I was brave or especially tough. I muscled on, because I think this is something we do as women. When our children are young, our lives are about taking care of our families. Our emotional and physical needs are low on the list of care and priorities. I can honestly tell you that I never once made a ‘to do’ list that included meditation or a nap. I don’t know if those things would have made a difference in the long run. What I do know is that my health seemed to deteriorate at about the same speed as my marriage. My emotions could accelerate from calm to rage in about 1.2 seconds. I felt awful. Almost all the time. Headaches, terrible pain in my side, joint aches, trouble swallowing, bone and ear pain. A doctor put me on thyroid medicine. It made me feel a little better. I started losing weight. Some of the pain went away. But I truly could not understand how I could feel so terrible. Yes, I recognized how bad my finances and marriage had become…but still…the way my body felt did NOT match the way my mind felt. ...to be continued next Tuesday. Part one - linked here. PLEASE READ BOOK GIVEAWAY INFORMATION AT THE TOP OF THIS POST. Jenny, I am very interested in your story, and I hate waiting from week to week...I get it. I am certain it isnt easy to publish this each time you do so I want to say hang in there it is worth it. I won the book from week 1 and am still awaiting it's arrival:-) Just popping in to read more of the story to see how it all ends and if it offers some insight for myself even. Thanks for continuing to share your story! I'm so glad you are able to write the words I've rarely been able to even speak. Bless you. I went back and read part one. Your honesty is amazing and I can now to some of what you are saying...although I think I felt great when my kids were young. Now, sometimes I feel as if I wake up and say, "what is today's symptom"? I'm sorry this has been a battle for you. Loved the Halloween card! S.
Oh my, I am so waiting for the outcome of this...hope all is well. Of course it has to be right!!!! Hugs to you, sweetie. I know how depressing it is to just not feel like yourself, just not quite right in your skin. Some of this sounds very familiar! Wow, this sounds so difficult to live through and to tell. I am hoping that an easy and complete answer has been found. My sister went through a similar spell that she kept to herself. A tiny iodine pill changed her world dramatically for the better. I so believe in holistic medicine. Your tenacity for life is apparent.....I am anticipating reading ALL of this story Jenny. I THANK you for sharing with us. Hugs coming to you from me and all of us, who truly love the friendships made with you through this great world of blogging! You are A.mazing! and how awesome to live close enough to be able to catch some lunch together! Thanks for sharing your story...My youngest daughter seems to have similar symptoms and I keep telling her she'll outgrow them, or find a balance, or figure out her diet. Sure hope there is an explanation for her vague discomforts....she too trudges on. I'm comment #15 and I like it that way....gives me a chance to read what others are saying. Interesting that so many can either relate or know someone who has the same symptoms. I think women as a whole do feel the need to trudge on no matter what. We often forget that if we don't take care of ourselves we can't take care of those around us. But we do it anyway...because we do. Like the others I am compelled to follow along, but for what reason? Perhaps we should all be more honest with ourselves. I can see that I posted here three years ago, but I didn't mention that specifically I had a hysterectomy and oophorectomy in 1990 as well. Same year. Kinda crazy.